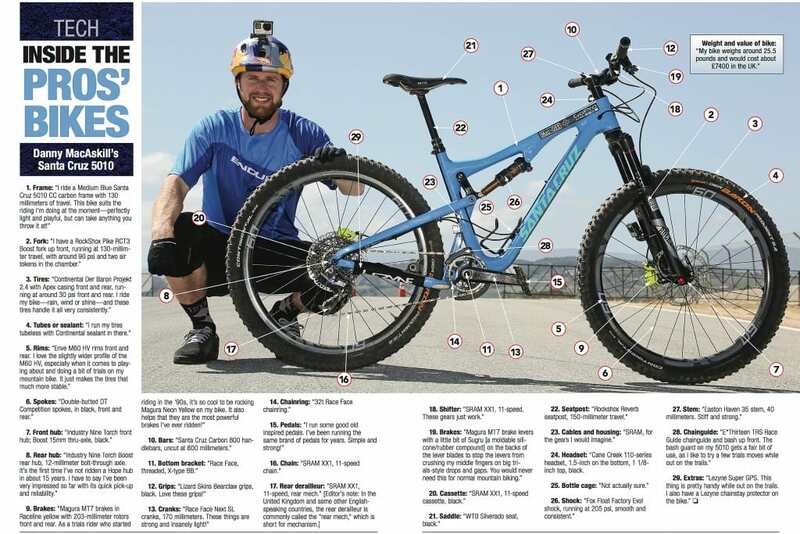 Scotland’s Danny MacAskill (pronounced “ma-CAS-kill”) might be the biggest mountain bike star in the world these days. His mountain biking videos have been seen more than 250 million times on YouTube. He can do absolutely incredible things on his bike, such as jumping from the rooftop ledge of one building to that of another. He can do front flips over fences and keep riding, and pull backflips off almost anything else. He can do things on a bike that most people could never even imagine doing.We got the chance to meet up with Danny while he was filming a series of videos for Magura at Laguna Seca Raceway in Monterey, California. To our surprise, he seemed like a totally normal guy. He didn’t seem to have a big ego or any kind of star complex. If we didn’t know who he was beforehand, we never would have guessed that he was one of the biggest stars in mountain biking. However, once he started riding his bike, hopping from one place to another, spinning around and doing backwards nosewheelies down the Corkscrew at Laguna Seca, our perception changed. He could do things on his bike that were almost magical. Of course, that is why Danny’s one of the most famous mountain bike riders in the world today.